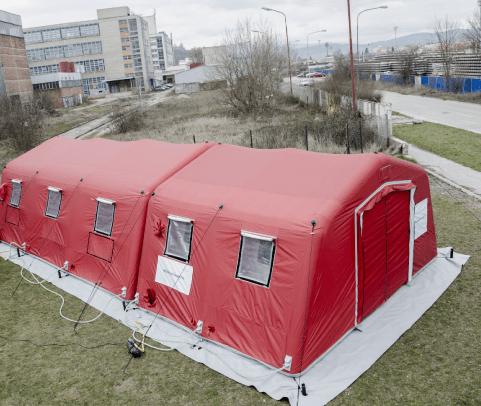 NIXUS | PGK is a modular low pressure inflatable tent for general use (first intervention, base camp, mobile hospital etc.). Inflatable tubes are made of HF welded heavy duty PVC, working pressure in tubes is 0,30 bar with automatic pressure control system. 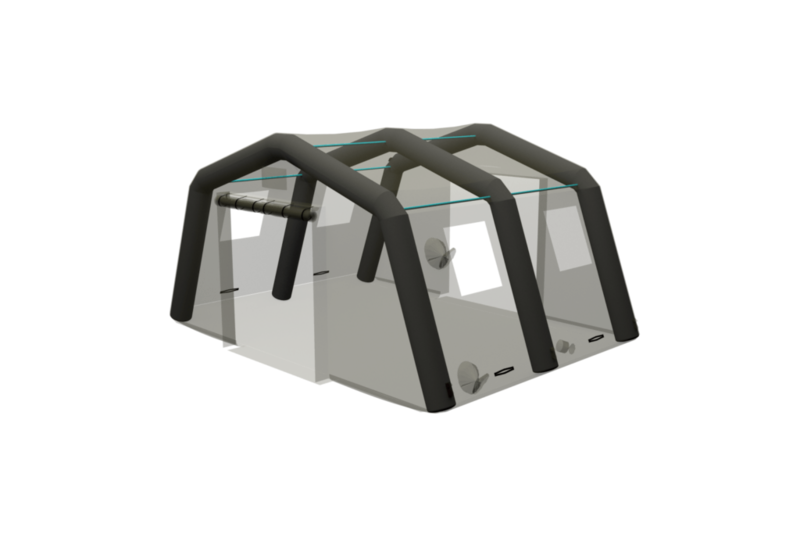 The canopy is made of 500D polyester fabric with waterproof PU coating or 1000D both sides PVC coated opaque fabric, both meeting B1 fire retardancy requirements. 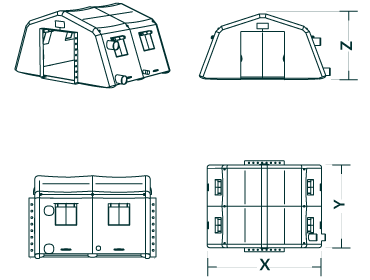 A variety of accessories as inner liners, sunshade, floor tiles and inner electric and furniture equipment is available with PGK model. 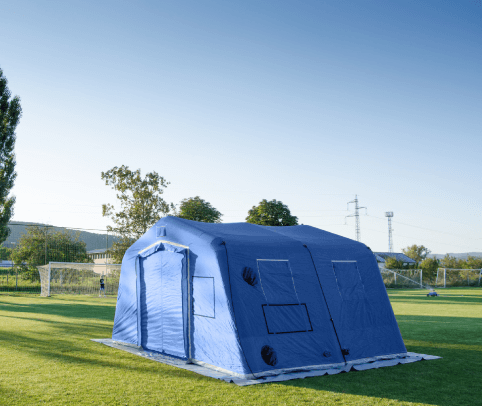 NIXUS | PGK is modular in a mean of interconnection with similar tents, but also in a mean or changeability of its parts and components. 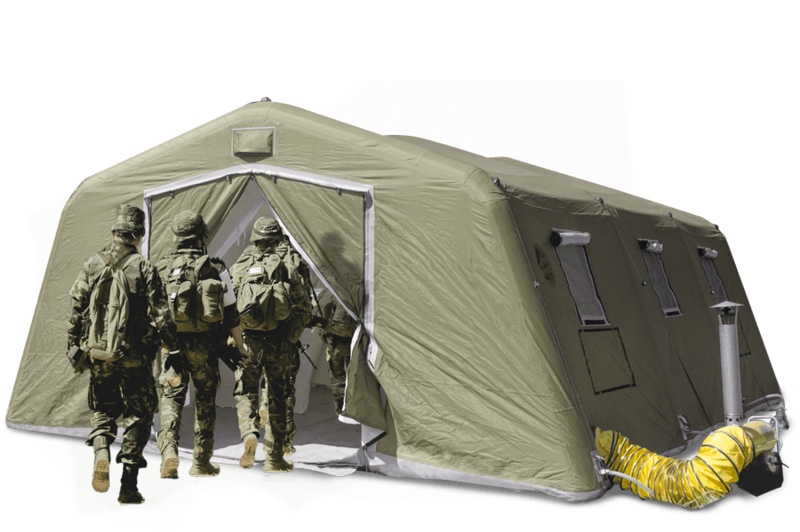 Typical outer canopy of PGK military tents is made of 650g both side PVC coated opaque bi-color fabric, suitable to very low temperatures. Typical outer canopy of PGK fire & rescue tents is made of 500g both side PVC coated fabric, or 250g one side PU coated fabric. PGK tents are available in ST, SH or SI version. 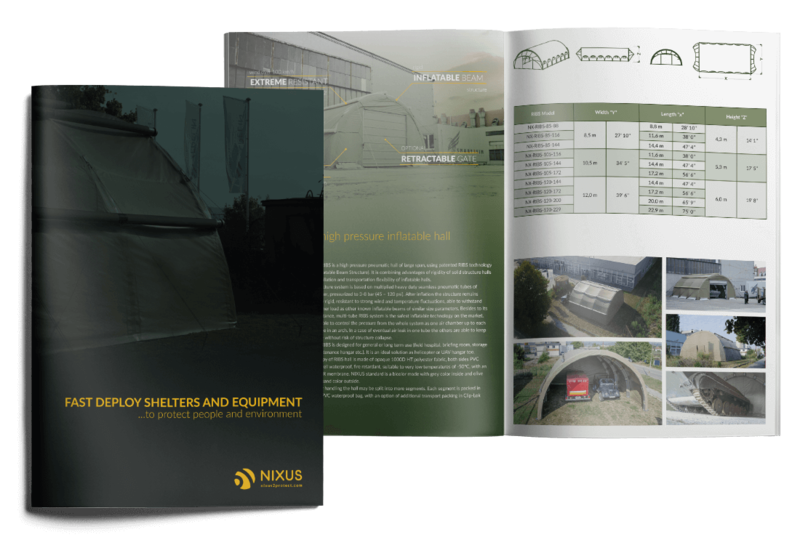 NIXUS | PGK SI uses horizontal inflatable tubes as tensioning elements of tent. Tubes are inflated through the system of valves, which can divide the air system into segments for more security. 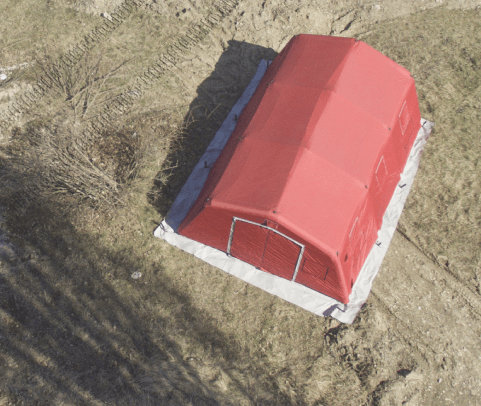 NIXUS | PGK ST uses aluminium struts as tensioning elements of tent. 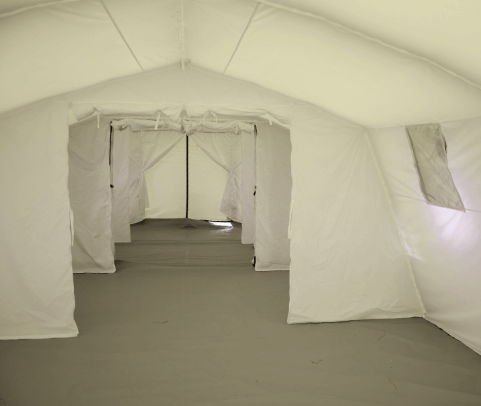 It is installed from inside after inflation of tent. 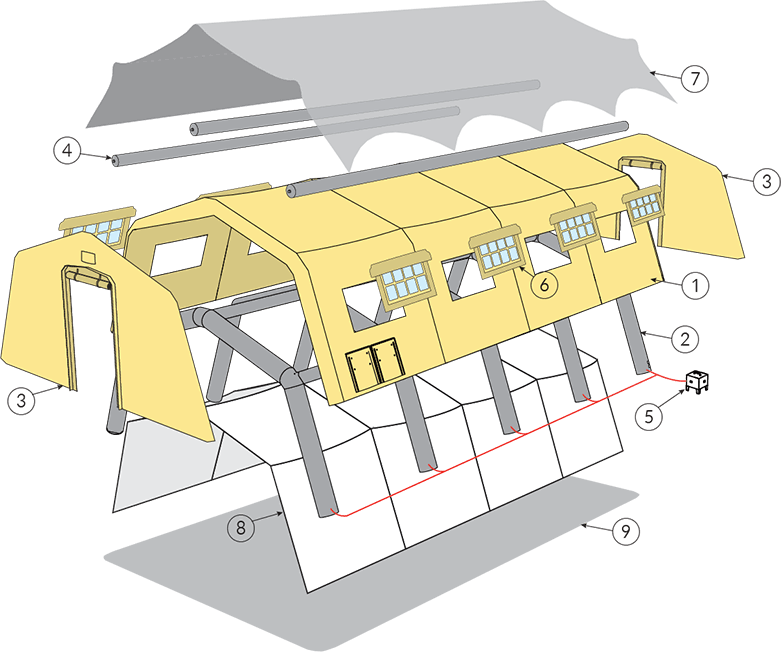 and aluminium struts as tensioning elements at the side.